Cushion Track Premier due to its synthetic nature is virtually indestructible. The makeup is a unique blend of environmentally approved synthetic fibres, with a multi washed silica sand. The high performance waxed coating can be manufactured to suit all climatic tolerances resulting in reduced maintenance requirements. 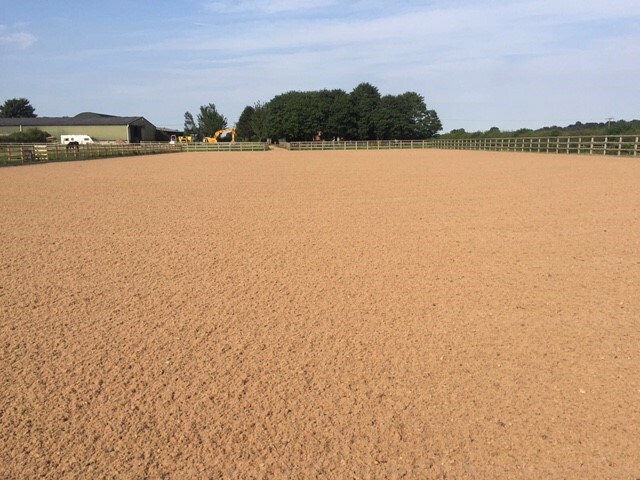 The Cushion Track Premier has a higher waxed content than our other surfaces, so the finished product will be with the horses riding on top of the surface, resulting in a firmer feel for horse and rider. Cushion Track Premier has been installed at venues across the UK, including Arena UK, Addington Manor, Chard Equestrian, Ingliston Equestrian, Vale View Equestrian and is also the preferred surface of choice for the Alexanders SCOPE Showjumping festival held annually. 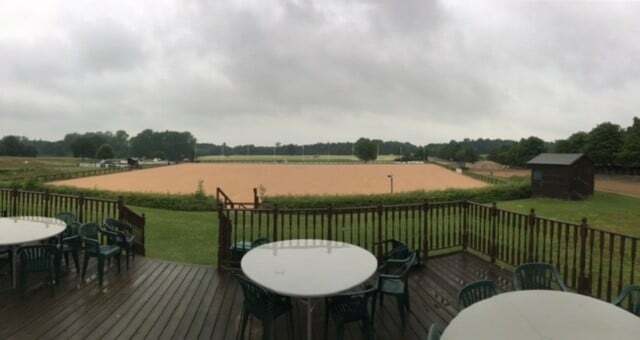 It is also used by professionals including, Mary King MBE, Michael Whittaker, Eilberg Dressage and Douglas Duffin. Since installing Cushion Track Premier in 2006, the surface has become widely known as the best surface in Lambourn. Younger horses can work for longer, without soreness and we are able to use it 365 days of the year. Since being Installed we have had nothing but Positive responses, the horsemen are happy with it, which is a first………………..The main reason we chose Cushion Track, was due to the consistency of the product we saw in the UK, each product was consistent and uniform……….The health of the horses is paramount, we haven’t had any negative comments regarding the Cushion Track, the horses are not coming back to the stables sore after their morning training. We have the Cushion Track Premier installed on both Indoor and Outdoor Arenas, there is very minimal maintenance, even though we can have up to 40 horses per day riding on it. The consistency of the product must be one of the reasons why our horses move amazingly across it.